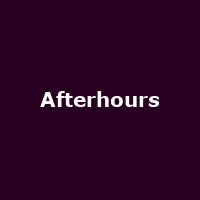 Afterhours are an Italian alternative rock band formed in 1985 and named after the song of the same name by Velvet Underground. They released their debut album, "During Christine's Sleep" in 1990, followed by: , "Pop Kills Your Soul" (1993), "Germi" (1995), "Hai paura del buio?" (1997), "Non è per sempre" (1999), "Quello che non c'è" (2002), "Ballate per piccole iene" (2005), "Ballads for Little Hyenas" (2006), "I milanesi ammazzano il sabato" (2008), "Padania" (2012), and 2016's: "Folfiri o Folfox".